The only way to go through an accident-free and eventless relocation is to properly and perfectly pack your belongings. If you don’t have the necessary time, knowledge or assets to meticulously prepare your possessions, pick up your telephone and give us a call because we providing top quality packing options at highly affordable prices. 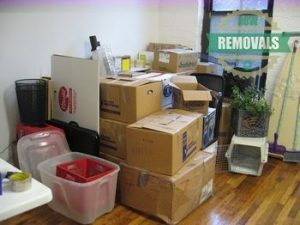 With the aid of our packing supplies we can easily prepared even the most delicate items for the loading and transportation stages of your upcoming relocation. Also don’t worry about your larger items as our movers are ready to assist you with the dismantling and reassembling process. After all it is not by chance that we are credited to provide the most reliable packing options in London. You can also contact us if you are looking to purchase shielding products. We sell packing materials at affordable prices which won’t even put a dent in your moving budget. Even more, if you desire, Now Removals can deliver them to you at any address within London and its surrounding areas for free. So, instead of wasting valuable time scouting the different contractors and stores of the city, just get in touch with us and tell us what you need and we will bring it to you at a time and place of your choosing. Know that you can combine our London packing services with any of our other options and benefit from highly lucrative discounts which will lower furthermore your removal costs. You can learn more about the remainder of our man and van services by exploring our website or contacting directly our friendly and highly knowledgeable costumer consultants. Bear in mind that we don’t specialise only in packing options but in full scale residential removals as well. This means that you can hire us to carry out your entire relocation from start to end and have the peace of mind that all your belongings will be packing, loaded and hauled in a diligent, safe and timely manner.